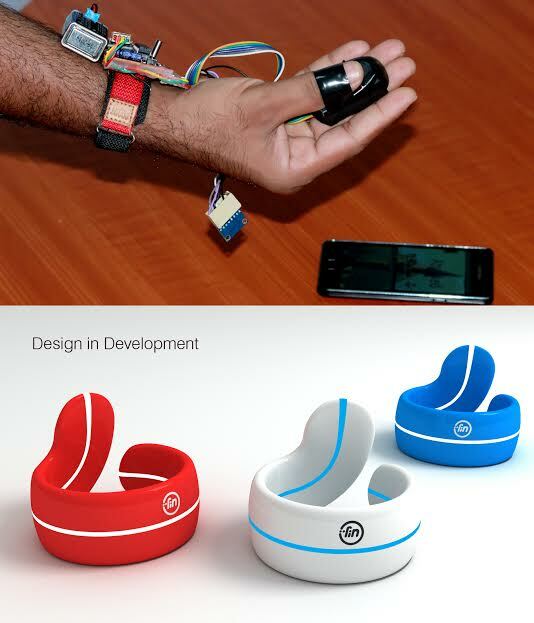 Kochi-based RHLvision Interactive LLP, a Startup Village incubatee that develops gesture-based technologies for individuals and enterprises, has launched a wearable device called 'Fin' on the crowd-funding platform Indiegogo. The company is targeting $100,000 in crowd-funding by mid-next month, and has already received close to $2,000 within a week of its product launch, with bulk of it coming from the US ($1,053), followed by the UK, Japan and Kuwait (with $110 from each). The funding will be used for materials and designs, hardware manufacturing & design, and also to add more enhancements features to Fin. The product is priced at $99 and will be commercially available from March this year. The company is also receiving demand from countries like Netherlands, Spain, Israel, Chile and Austria besides India. "Fin is a unique device that you can wear on your thumb as a ring and it will make your whole palm as a touch interface. Using the Bluetooth-enabled device, one can connect to smartphones, smart TVs, automobiles, and home automation devices. Fin reads different gestures from one's palm and its corresponding values control connected devices," said Rohildev N, founder and CEO, RHLvision. RHLvision (RHL stands for Robotic Human Logic) was founded in 2012 by Rohildev, who holds a bachelor's degree in computer science and engineering. Early last year, the company rolled out a device to help surgeons use the computer without touching it while carrying out surgeries. This device helps doctors navigate patients' records while in operation theatres as well as interact with surgeons abroad in real time, even while standing up to four metres away from the computer screen. The company had raised an undisclosed amount in funding from Delhi-based healthcare services provider Malik Radix Healthcare last year. It was selected from India among the 50 globally for Pioneers Festival, one of Europe's largest startup events.